The following steps will guide you in setting up your first node using a Point-to-Point Protocol over Ethernet (PPPoE) connection. 1. 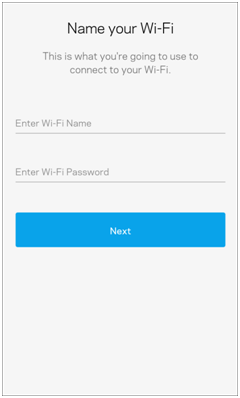 Download and install the Linksys app from the App Store® or Google Play™. Make sure you have the latest version that works with Velop. 2. You will need your account credentials for your PPPoE connection from your internet service provider (ISP). 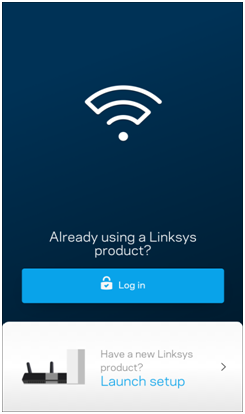 On you mobile device, launch the Linksys app. NOTE: If prompted, tap Allow to receive notifications. 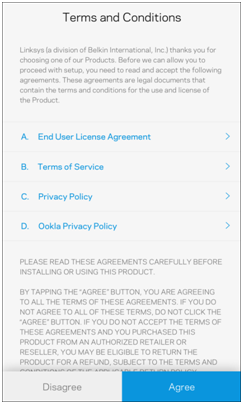 On the Terms and Conditions screen, tap Agree to continue. 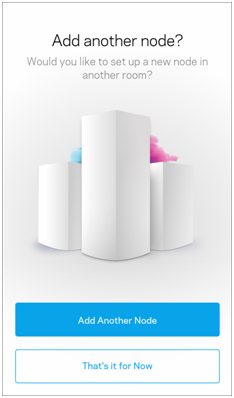 If you are prompted to Create an Account, either create an account or tap Log in here if you have an existing Linksys cloud account. 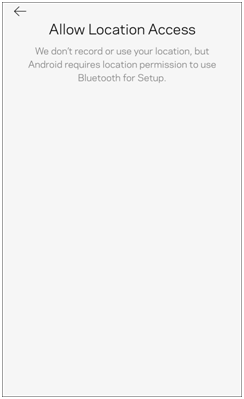 You may be prompted to Turn on Bluetooth if the Bluetooth® of your device is turned OFF. 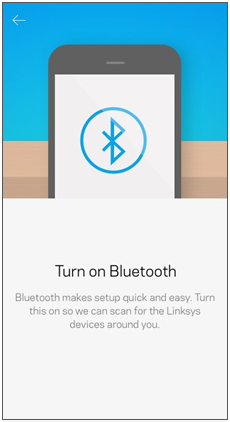 The Bluetooth connection is used for setup purposes only. 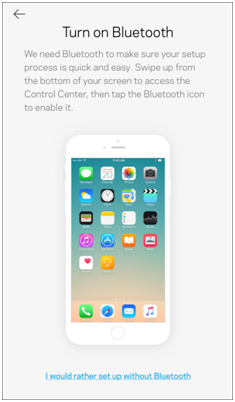 For iPhone® or iOS devices, you will need to turn ON Bluetooth in Settings. 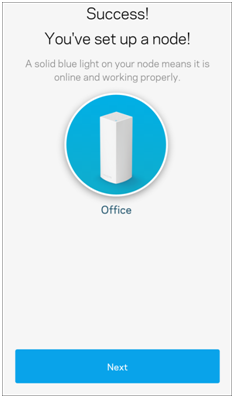 For Android™ devices, tap Turn on Bluetooth. NOTE: Some Android devices may prompt you to turn ON location access to continue the setup. Turn on Location in your phone’s settings. 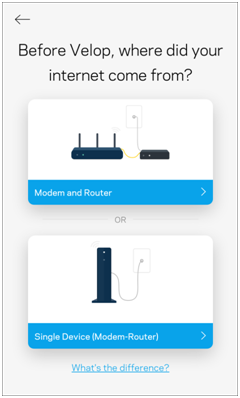 Select your existing internet connection setup. 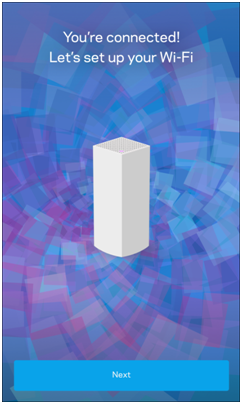 If you only have a standalone modem (no router). 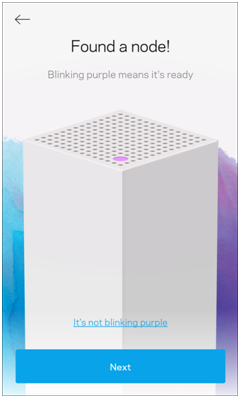 If you have a standalone modem and an existing router that you are replacing with Velop. b. 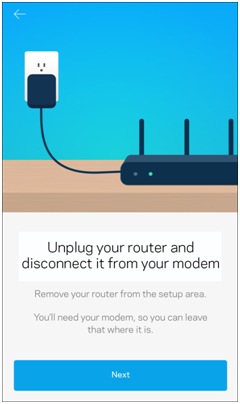 Select Single Device (Modem-Router) if you have a modem router (all-in-one device). Gather all items described on the screen. Tap Next when ready. 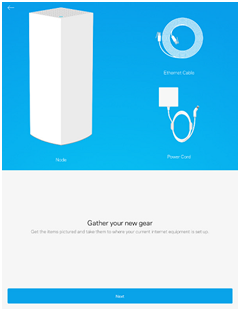 Unplug the power adapter of your existing router and tap Next. NOTE: If you don’t have a router, just tap Next. 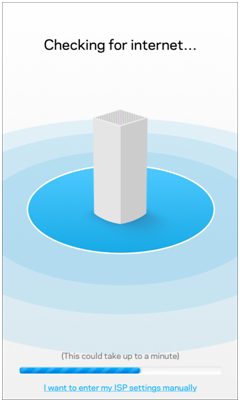 Disconnect your existing router from your modem. Set the router aside. 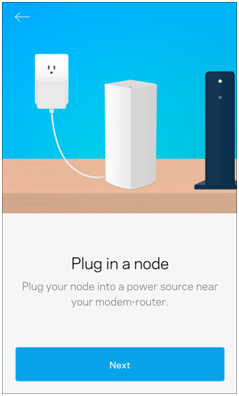 Plug in your node’s power cord, then tap Next. 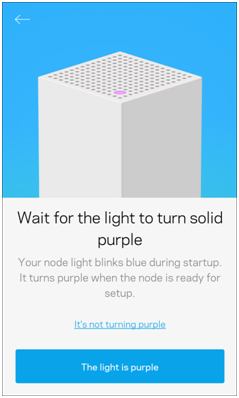 NOTE: The node’s light may take a few seconds to display. 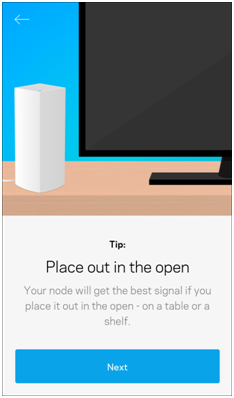 Place the node out in the open and tap Next. 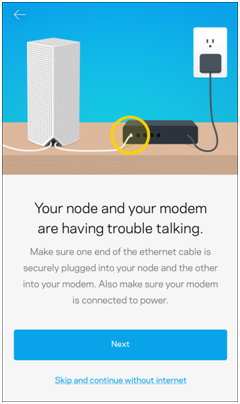 NOTE: Because your first node will be physically connected to the modem with an ethernet cable, place it in an open area not too far from the modem (as far as the ethernet cable will reach). 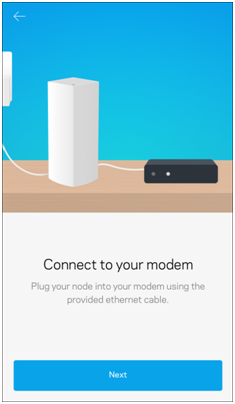 Connect the modem to your node using an ethernet cable and tap Next. NOTE: Choose either port on the bottom of the node. The node knows what to do. Once the light is solid purple, tap The light is purple. The setup wizard will look for your node. When the app finds your node, tap Next. While the app looks for the internet, tap I want to enter my ISP settings manually. Tap I have a PPPoE account. Enter your ISP PPPoE credentials in the fields provided. Then, tap Next. IMPORTANT: In the event that you are NOT prompted for the PPPoE credentials and, instead, see the screen below, just tap Skip and continue without internet. This will allow you to continue the setup with local settings only. 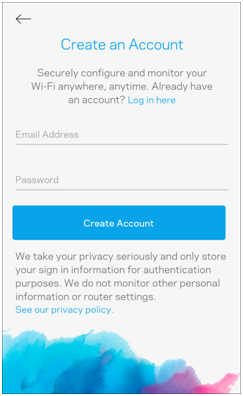 After setup, log in to the Linksys app to configure the Internet Settings. 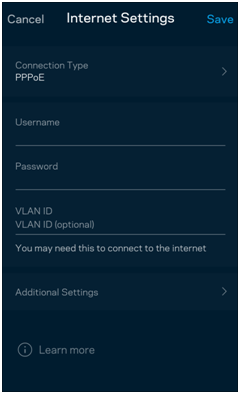 You can log in to the dashboard and manually configure the PPPoE settings by tapping the Menu icon and going to Advanced Settings > Internet Settings. Once you’re connected, tap Next. Personalize your home network by creating a Wi-Fi Name and Wi-Fi Password. When done, tap Next. 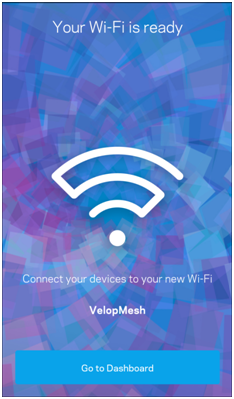 If you are prompted to connect to your new Wi-Fi name, go to your mobile phone's Settings > Wi-Fi and connect to your new Velop Wi-Fi name. 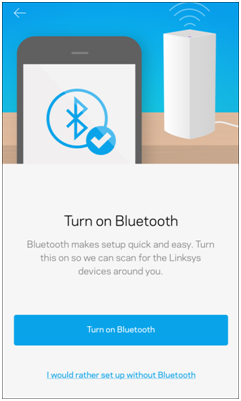 When connected, return to the Linksys app to continue the setup. Select the room where your node is then tap Next. NOTE: We recommend choosing a room name that corresponds to the actual location of your node. 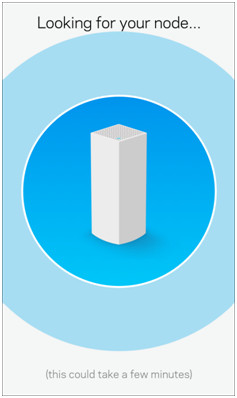 This will allow you to better identify multiple nodes through the Linksys app. Your node is set up. Tap Next. If you have another node to add, select Add Another Node. Otherwise, tap on That's it for Now. NOTE: You can always add a node later by logging in to the Velop dashboard. To learn how, click here. 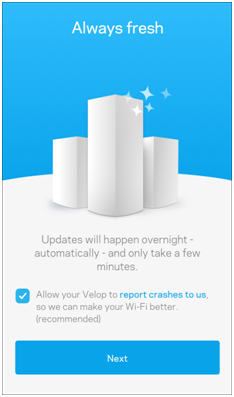 Future updates will automatically happen overnight and will only take a few minutes. You won’t even notice them. Tap Next. If new firmware is available, your node will download it and update. You’re done. 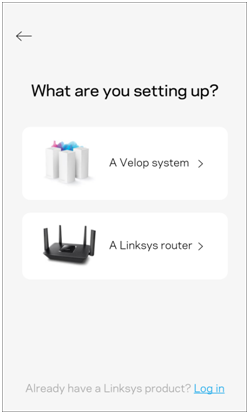 Tap Go to Dashboard to enter the Linksys app settings. NOTE: We recommend changing your Velop’s admin password after setup. During setup, a random password is created to secure the admin settings. 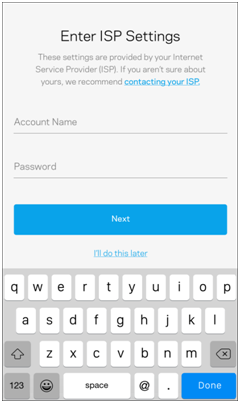 For instructions on how to change your admin password, click here.